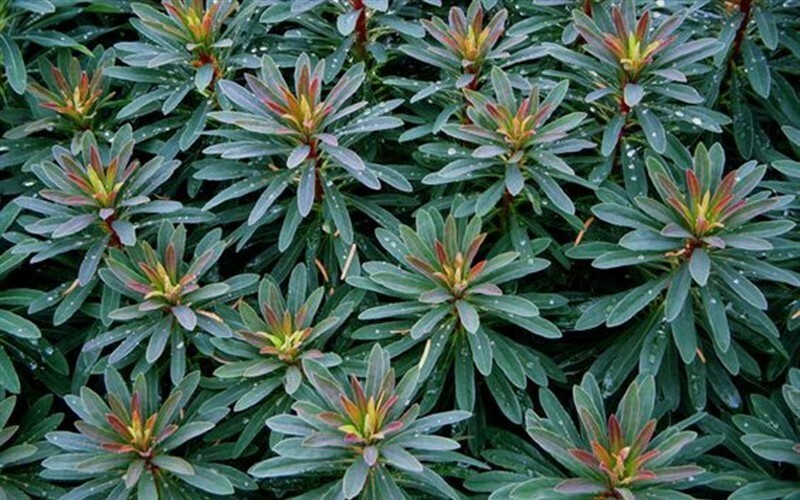 Euphorbia Red Velvet Ppaf - Spurge is a moderate growing shrub, perennial plant and succulent plant that can be grown in USDA Plant Hardiness Zones 7A through 11. It matures to an average height of 1 foot to 2 feet and an average width of 2 feet to 3 feet, depending on climate and other environmental factors. 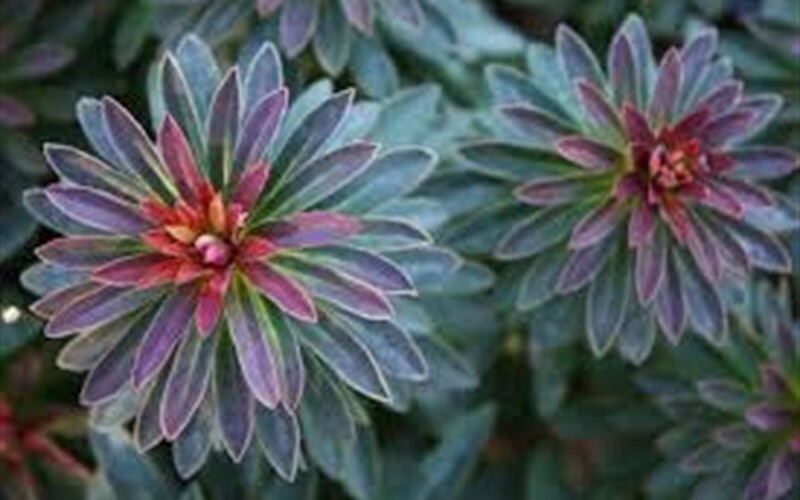 In the winter Euphorbia Red Velvet Ppaf - Spurge produces yellow flowers. The foliage is blue green, chartreuse, red and medium green in color. It attracts butterflies and hummingbirds and is resistant to drought, diseases and heat.